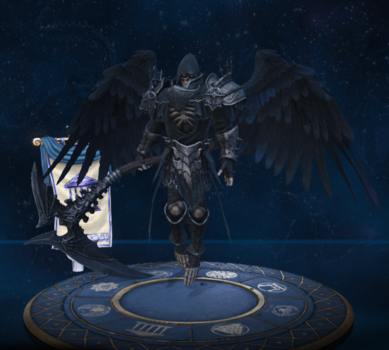 Thanatos is one of the playable Gods in SMITE. Inevitably, all mortals must die. They cling to life with fevered desperation, for death is a cold unknown, filled with uncertainty and bleak, everlasting finality. Some accept fate with grace, others are dragged, kicking and screaming, though in truth, no mortal would go to Hades willingly. They are reaped by the nightmarish God of Death, whose grim visage strikes strange against the gleeful satisfaction he feels at performing his work. 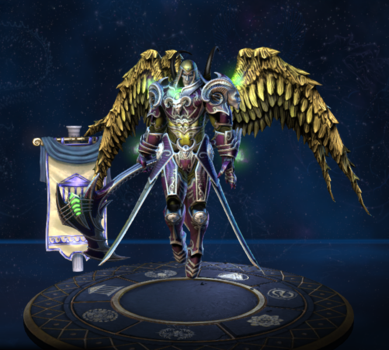 Thanatos is the very face of death. Yet, to Thanatos, Mortals are easy prey. Their end is preordained, harvesting them but a game to pass the eons, but a God, a being beyond the mortal coil, now there is a creature Thanatos eyes with greedy longing. He despises the immortality other Gods covet. To him, it is a perversion and defiance of his very purpose. But can a God truly die? As the Heavens clash and immortal blood spills on the Earth, Thanatos hungers to find out. War is but the preamble to death, a battlefield of souls rent from their bodies, listlessly waiting to be taken by the God of Death. A war between Gods, a war of this magnitude can mean only one thing. Thanatos is about to be very, very busy. Grants 20/30/40/50/60% move speed while moving towards low health targets. It's hitbox sweeps right to left in a cone in front of Thanatos. Scent of Death's low health boost will affect the bonus move speed. As Thanatos silence fifteen enemies out of their abilities. Thanatos is Nyx's son and is Nemesis brother. 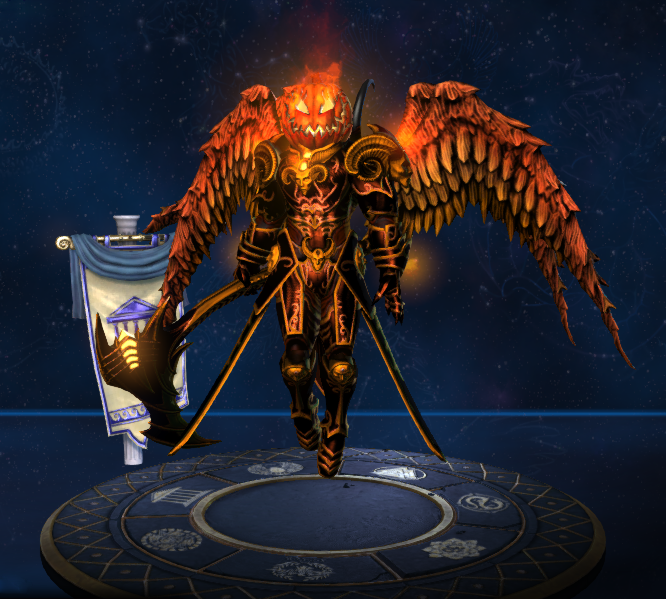 One of Thanatos' jokes, "Don't look into the deadlights!" is a reference to the horror novel It by Stephen King. 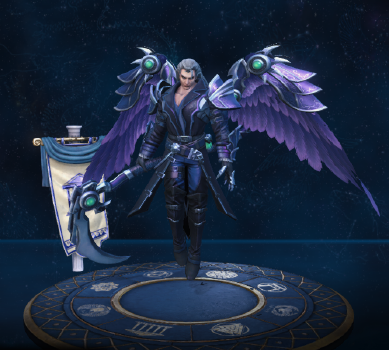 One of Thanatos' death quotes, "Death is but a door, time is but a window, I'll be back..", is a reference to Vigo the Carpathian from the movie Ghostbusters II. Every Thanatos skin above Tier 2 changes his ultimate ability targeter. This skin could be a reference to the Transformers. One of This skin's jokes, "I came here to laugh at you", is a reference to a line said by Quattro Bajeerna in Mobile Suit Zeta Gundam. 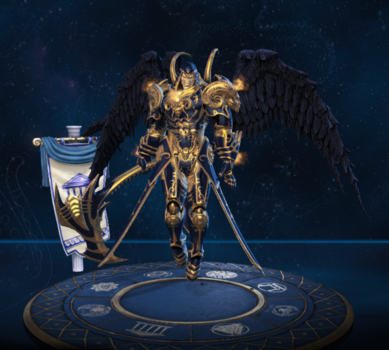 This skin share its theme with Jackal Tech Anubis, Tremor Tech Cabrakan, Storm Tech Chaac, Dual Tech Hel, Warp Tech Janus, Revenge Tech Nemesis, Omni Tech Odin, Reaper Tech Thanatos, Ragnarok Force X Thor, and Sky Tech Zeus. This skin is based on the character Sephiroth from the game Final Fantasy VII. In SMITE official twitter page an special art work made by Karulox based on the art of the artist Yoshitaka Amano was postet to promote this skin. This skin is a reference to the infamous British serial killer Jack The Ripper, and the urban legend Headless Horseman mixed with the traditional Jack-o'-lantern. This skin is based on the Personification of Death. 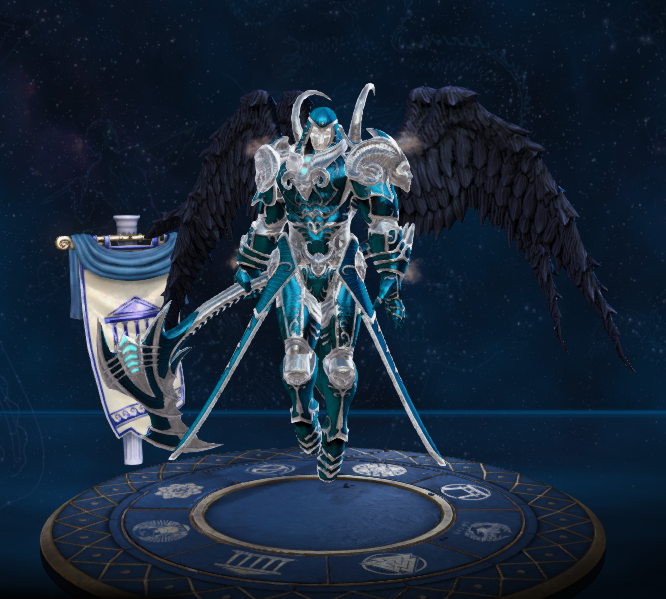 This skin uses Archon Thanatos final model as base. This skin share its theme with Darkblade Pele. This skin is based on a Valkarye. This is the first time an male god received an female skin. 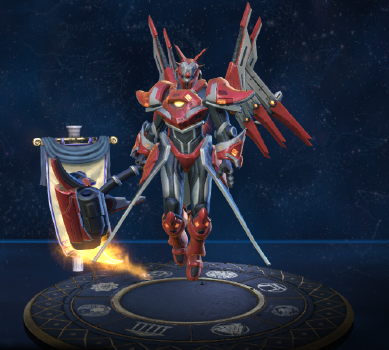 This skin was the first Tier 5 skin in the game. 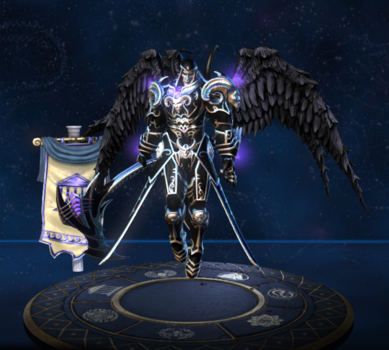 One of this skin's jokes, "One does not simply walk into the enemy titan! ", is an altered version of a famous quote made by the character Boromir in the film The Lord of the Rings: The Fellowship of the Ring. 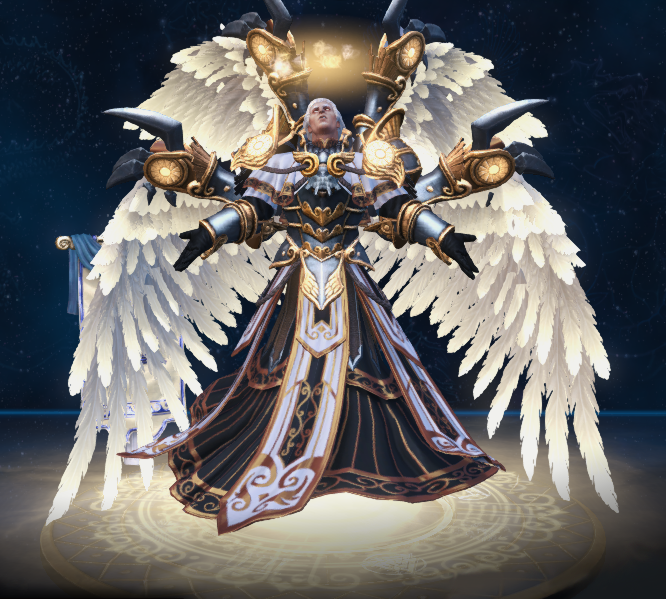 One This skin's jokes, "This isn't even my final form! ", is a reference to a line said by Frieza in Dragon Ball Z. 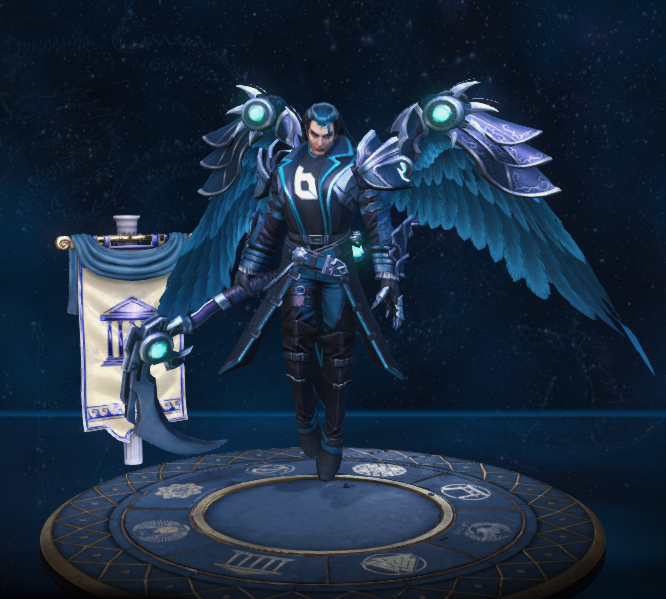 This skin share its theme with Midnight Dove Awilix and Celestial Guard Odin. 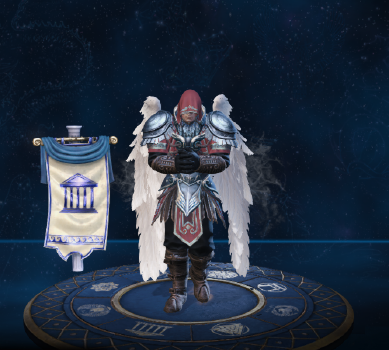 This skin can only be obtained by reaching level 32 in the Season Ticket 2018. This skin was part of the Council of the Gods event. 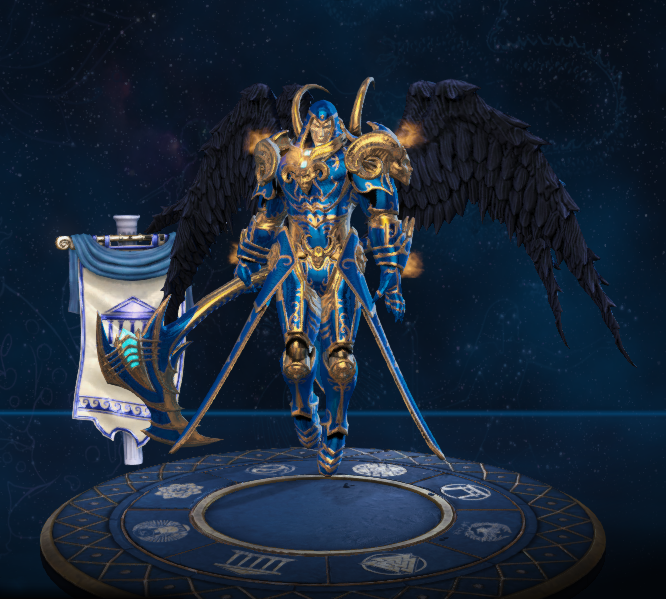 This skin changes appearance when Thanatos levels up to 5, 10 and 15. 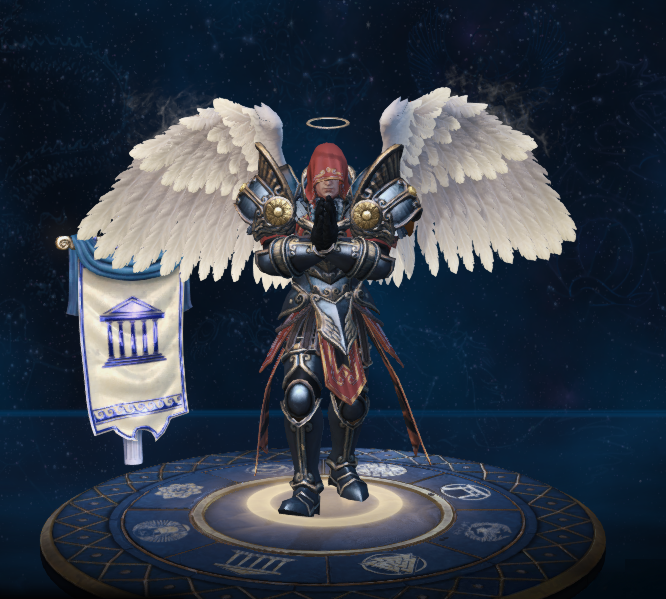 This skin could only be obtained by unlocking all the items from the Odyssey 2015 before January 9, 2015. Abilities now cost % of current Health, not % of total Health. Adjusted Silence duration from .5/.75/1/1.25/1.5s → 1s at all ranks. Scaling increased from 60% → 70%. Increased base physical protection from 11 → 14. Increased base attack power from 37 → 39. Fixed an issue where the heal was granted for the previously killed target instead of the last. Added timer on the ground targeter indicating when the ability will expire and Thanatos will be forced to land. Fixed the bonus speed not applying when facing an executable target. Fixed the default skin playing Archon voice over on execution. Fixed basic attack animations not properly syncing after landing. Increased casting time from 1.2 to 1.5s. Fixed an issue where Thanatos did not ignore slows while flying. Recovery time reduced from 0.8 to 0.1. Damage scaling reduced from 80% to 60%. Temporarily reverted the last patch’s post-hit delay reduction. In a future patch, we will re-instate the post-hit delay but were working on new pre-hit delay animations to better balance out his timings. Post-Hit delay returned to 0.8 from 0.1. Post-Hit delay returned to 0.5 from 0.1. Reduced the width of the ground targeter to better match that of the projectile. Post-Hit delay reduced from 0.8 to 0.1. Fixed an issue where gods could sometimes survive the instant kill with enough damage reduction %. Angled the preview mesh in the targeter fx for the standard and Jack the Ripper skins to match that of the projectile. Increased healing on successful hit from 50% of damage dealt to 75%. Bonus move speed while flying increased from 100% to 150%. Fixed an issue with his landing animation playing twice. Now correctly indicates that this also grants 5s Cooldown Reduction when delivering the killing blow to enemy gods. Adjusted the projectile FX to better fit the collision radius of the projectile. The health cost for using this ability has been reduced from 10% to 5%. The amount of time between firing this ability and the damage occurring has been reduced from 0.6s to 0.4s. The amount of time between firing this ability and flying into the air has been reduced from 1.5s to 1.2s. 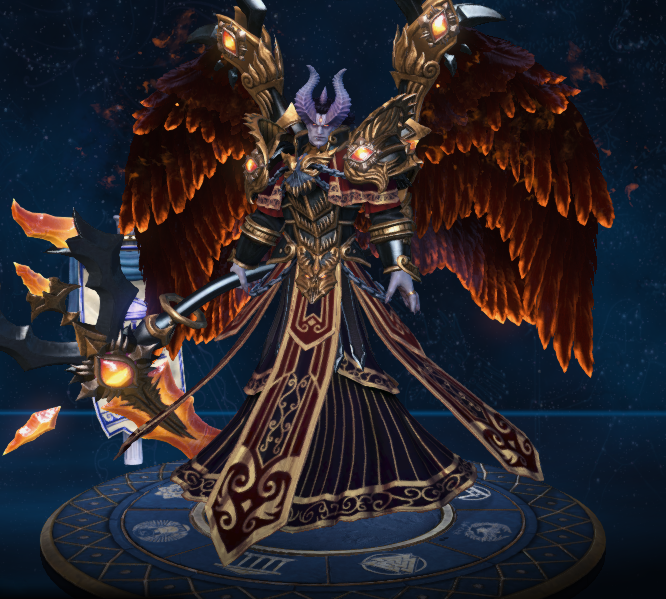 Thanatos can now see through the fog of war when he is flying during his ultimate. Fixed an issue in which Thanatos could go invisible. Fixed an issue in which the heartbeat sound could persist after a player restores his health. Tooltip corrected to reflect that it deals dmg based on max hp instead of current hp. Fixed an issue in which Thanatos could get stuck in his ultimate. 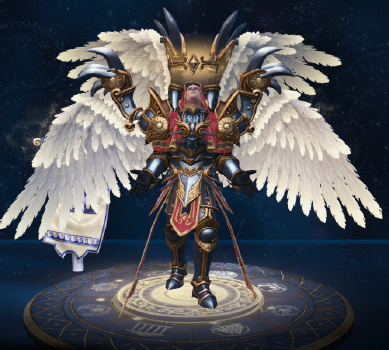 Thanatos has been added to the game.